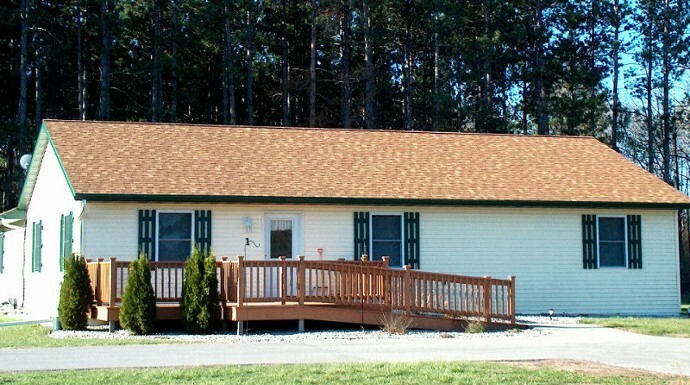 Rost-Huebner Adult Family Homes are three beautiful ranch-style assisted living family homes nestled in the heart of wildlife scenery located on Left Foot Lake Road about three miles outside of Crivitz, Wisconsin. Each home has four attractive single dwelling apartments with easy access to bathroom and shower. As you enter our newly built homes you will find yourself in a cozy, warm living room adjacent to the heart of any home—the dining room. Gathered around the table you will find scrumptious home cooked meals served three times a day, wonderful company and lots of laughter. All housekeeping, laundry, medication administration, and activities are included to ensure a stress free, relaxing atmosphere.